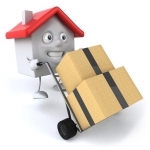 Independent, “boutique” moving and delivery operation. Designed for providing efficient, timely, and friendly service. Pick up and delivery of your MA area craigslist or store purchases. Over two years of experience assisting MA area buyers and sellers! If you want an item, but do not have a way of moving it, I can help. Small storage and apartment moves. Almost anything! Friendly, reliable and prompt, with on-call service to all MA and southern NH.